The owner of a small family business located in Jacksonville, FL is offering a $6,000 cash reward for the return of their stolen semi truck. "No questions asked. Sell them out and get your green-cash," said Josh Garrison on his Facebook page. Garrison has turned to social media, local news channels, truck drivers and the public at large for help in tracking down his $80,000 truck since he discovered it stolen on Monday morning. 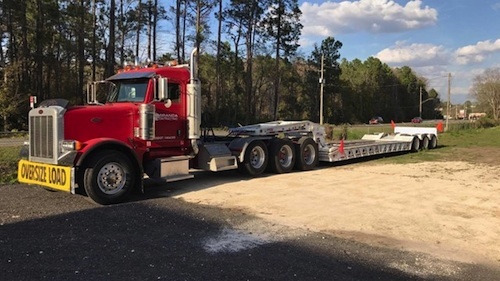 The red 2005 Peterbilt was parked inside a locked gate at his family business, Miranda Contracting LLC's, inside the construction yard on W. Beaver Street in Jacksonville, FL. 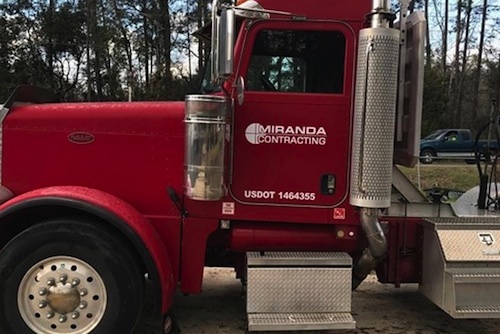 The trailer was unhitched from the truck and the thief drove off in the red cab portion with "Miranda Contracting" and "US DOT 1464355" painted in white lettering on the doors. Garrison says one of his employees got to work at 5:50 a.m. Monday morning and immediately realized the truck was missing. They determined the thief cut the lock to the gate and hot-wired the truck. "It makes us irate that someone would roll up and steal something we worked so hard to purchase," Garrison said. "It's got to be a professional. Someone that's a mechanic." Garrison also said that they have security cameras at the business, but between 2:30 a.m. and 3:30 a.m. the images were scrambled, as if done on purpose by the suspect. The family relies on the truck to transport construction equipment to job sites and it’s the only truck they have. On Monday, they were forced to use another vendor last minute in order to get their deliveries made. "We had four or five stops planned for the rig. Now, we're up a creek," he explained. Garrison initially offered a $3,000 cash reward for the return of the truck but has since increased it to $6,000. He's asking anyone with information to please call (904) 388-1121 extension 301 or JSO at 904-630-0500.